I am thinking of doing a series of tiny people is large open spaces, especially beaches. This is one of the oldest I have (digitally). This one was made on Terschelling. 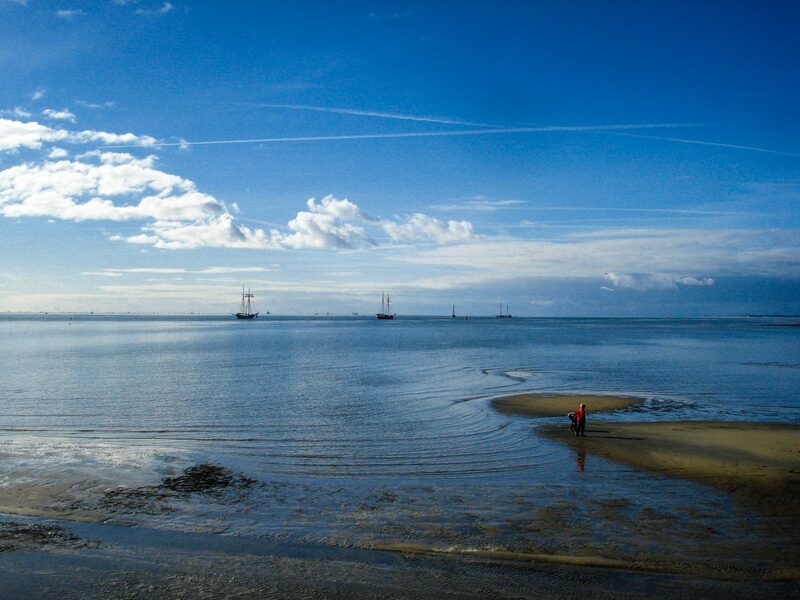 The Waddenzee at low tide. Looking to the west. Sailing ships (no wind) sailing though the vaargeul. Long shadows. This entry was posted in Uncategorized on 20/02/2018 by fromthepolder.